The draught in metres is 5.85 (19.2 ft) and the widest beam in in metres is 7.62 (25 feet). The material above her decks utilized is mostly aluminum and GRP. "Philkade" can steam with a economical cruising speed of 12 knots giving a range of around 2750 miles. Her full range is enabled with her 29500–litre tank capacity. The vessel Philkade is a 1986 build of British registry. This aluminium alloy custom sailing yacht was built in Auckland New Zealand by Sensation Yachts and has been sailed world wide. 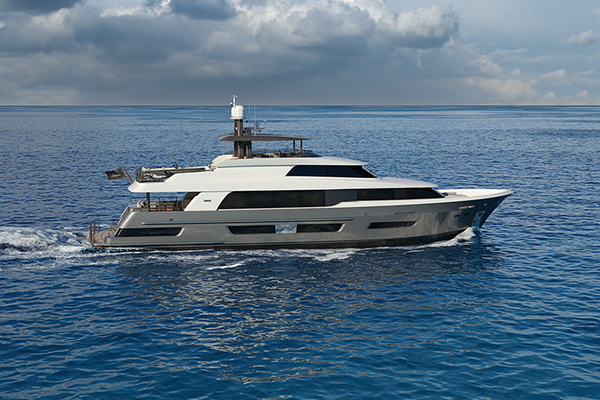 Designed by Dubois Naval Architects to be comfortable for guests and spacious for the size the boat features a capacity for 9 guests in 4 cabins, each with ensuite and additional accomodation for 6 crew in 3 cabins, 2 with ensuites and the third served by a seperate toilet and shower room. There is a seperate crew lounge and access to the engine room and foredeck. 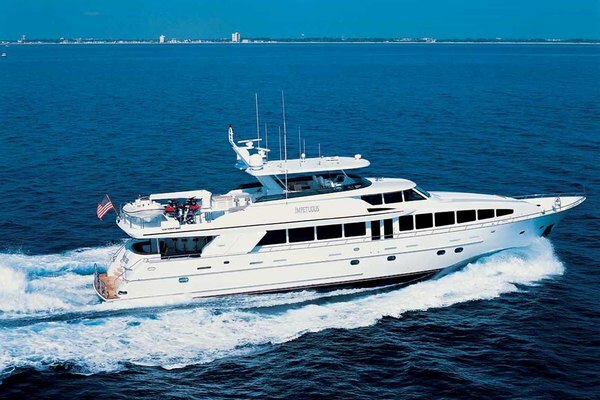 The vessel is fully air conditioned (chilled water system) with controls for individual cabins and common areas. The galley (fully electric, eliminates gas problem potential) with cooker and oven forward of the main saloon. Stainless steel sinks, hot/cold pressure water (heated from both engines or shore power with seperate boilers to provide redundancy) and large dual unit refrigeration with additional freezer capacity is fitted. A trash compactor is installed. The saloon, (to be completed)will feature a dining table, settees and lounging areas with a sound system and large screen TV. electronic controls, all air handlers serviced/rebuilt. - LED lighting in all rooms/cabins in Guest and crew area. - Teak in swimming platform repaired. Numerous lights, camera, radar, antennas and horns/hailers are fitted. A stainless steel cradle is fitted to the foredeck for the centre consul RIB tender stowage and is lifted via the hydraulic system. The mainsail, (in mast furling, infinite reef points) and associated lines and fittings are in good condition. The headsail system, (genoa and staysail) is hydraulically powered as are the windlass and sailing machinery which include captive Barient winches.